Announced today in partnership with electronics giants Sony, Logitech and Intel, Google has unveiled a new product that aims to fully integrate television and the internet. It’s not the first time TV and the web have crossed paths, but Google believes that Google TV will be a big step forward for home entertainment; “Google TV is a new platform that we believe will change the future of television,” said Google Product Manager Rishi Chandra, after introducing Google TV at the Google I/O developers conference in San Francisco. 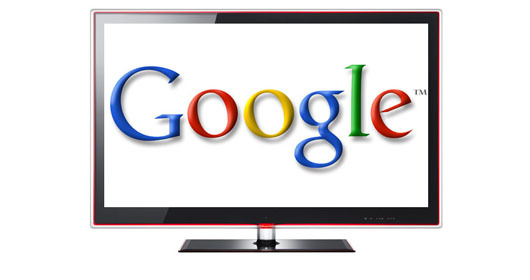 Google TV will be powered by Android software and the Chrome web browser. With the theme of the conference centering around the “open web”, Google is taking a very different approach to that of it’s major competitor Apple. Unlike the closed-system that pervades all Apple products, Google TV is extendible and standards-based, with full Flash support. Popular internet TV site Hulu.com was showcased during the presentation today, and while it’s unclear whether Hulu will move to block Google TV as they have other living-room entertainment systems like the PS3 and Boxee – if any company is likely to ever get access to the service, it’s Google. While pricing has not yet been disclosed, Google TV will be released towards the end of the year in two formats – a set-top box that can be hooked up to an existing TV, as well as new HDTV’s with Google TV software built-in. After the announcement, Forrester Research analyst James McQuivey stated that Apple will need to put a lot of effort into re-inventing their Apple TV product following Google’s expansion into the arena. “The whole game for Google is to become the (operating system) for the living room and make sure Apple doesn’t,” McQuivey said.